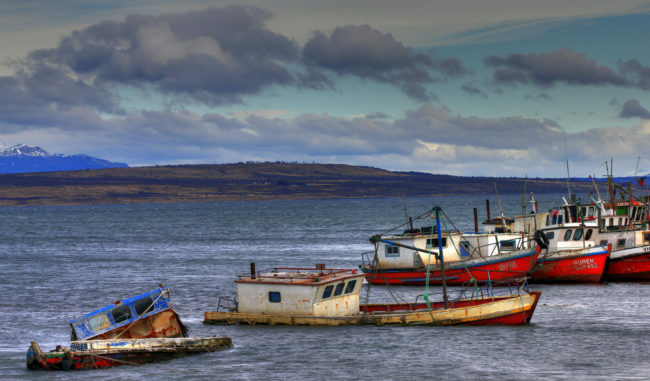 A range of human pressures is threatening the sustainability of marine fisheries. Amongst those, overfishing, partly driven by Illegal, Unreported and Unregulated (IUU) fishing, is a major stressor. Thirty percent of global fish catch goes unreported, found a recent studyby Nereus Program collaborator Sea Around Us. But the relationship between IUU fishing and climate change is a new topic. I speculate that climate change impacts on fisheries may indirectly increase IUU fishing. Increases in greenhouse emission concentrations in our atmosphere contributes to ocean warming, decreases in oxygenation levels and ocean acidification. Ocean acidification is the decrease in the pH of oceans due to the absorption of CO2; it affects calcifying organisms, like oysters, clams and corals, which have difficulties building their shells in more acidic water. Fish stocks are also shifting tens of kilometers per decadetowards the poles or into deeper waters in response to ocean warming. Globally, potential fisheries catches are projected to redistribute to high latitude regions, with a large reduction in potential catches in the tropics, of up to 30 percent in some regions. The tropic is amongst the areas where communities are most dependent and vulnerable to fisheries resource depletion. If traditional fisheries resources decrease because of climate change, fishers may need to shift their fishing grounds, or engage in alternative fishing methods to compensate for their lost. Shifts in distribution of fish stocks may also destabilise existing fisheries management, such as bycatch quotas, or bi-/multi-lateral agreements on straddling fish stocks. Moreover, fish stocks shifting to new habitats may create opportunities for new fisheries that do not yet have management and reporting frameworks, such as fisheries in the Arctic. Climate change impacts on vulnerable communities may also drive migration and increase pressure of coastal fisheries resources. All these factors could increase incidences of and complicate measures to combat IUU fishing. Fishers may need to shift their fishing grounds or engage in alternative fishing methods to compensate for fish stock loses due to climate change. Image: "fishing boats" by snapshotdiaries (CC BY-NC 2.0). 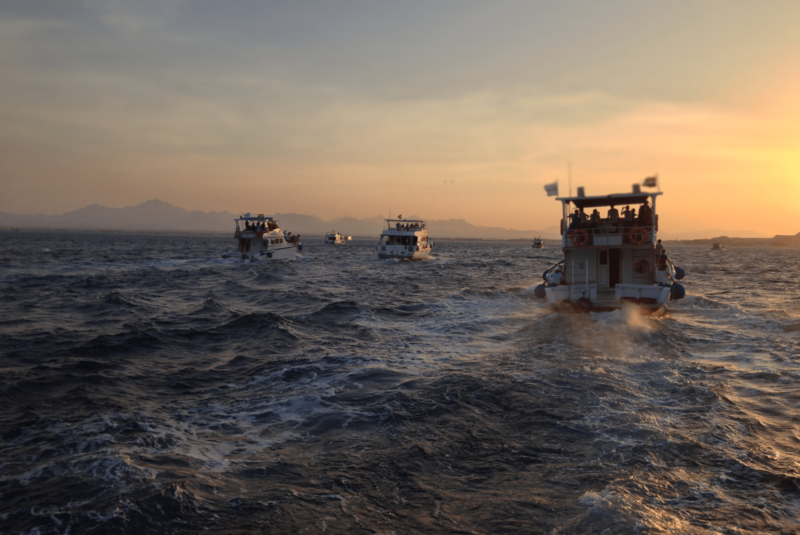 Integrated multi-scale approaches that address the interconnections between climate change, other human drivers and IUU fishing are needed in order to develop effective solutions to ensure fisheries sustainability. The Ninth International Forum on Illegal, Unreported and Unregulated Fishing, was held February 16 to 17 at the Royal Institute of International Affairs, in London, UK. I was invited to speak on the topic of climate change effects on fisheries and their implications for IUU fishing, and participate in a panel in this forum. This forum brought together academics, politicians, law enforcement agencies, civil societies, funding agencies and business representatives to discuss IUU fishing. The panel that I participated in talked about the latest on the scale of IUU fishing, IUU fishing in the context of the United Nation’s Sustainable Development Goals, climate change implications, and priorities for the international community. Other aspects of IUU fishing were addressed by subsequent panels, including those on international regulatory instruments, the role of new technologies and data, the relationship between IUU fishing and other crimes, the European Union regulations, and the coordination of international responses to tackle IUU fishing. The challenges of tackling multi-dimensional stressors on fisheries were prominently brought up in the keynote by the Hon. Sherry Ayittey, Minister of Fisheries and Aquaculture Development, Government of Republic of Ghana. In fact, in a study publishedby Senior Nereus Fellow Vicky Lam, Research Associate Rashid Sumaila, Program Manager Wilf Swartz and me in 2012, we showed that fisheries in West Africa, including Ghana, are considered to be highly vulnerable to climate change. The forum exemplified the complexity of ocean sustainability issues and the need for interdisciplinary and international efforts to address them – an approach that is firmly embraced by the Nereus Program. William Cheung is Director (Science) of the NF-UBC Nereus Program and the Principle Investigator of the UBC Nereus Research group since 2014. He is also an Associate Professor at the University of British Columbia. His main research area is on assessing impacts of fishing and climate change on marine ecosystems and their goods and services, and studying ways to reconcile trade-offs in their management.